I made this drawing in 2014. Created with pencil on a5 paper. This one was also included in my exhibition that ended this week. Don't know the exact meaning and probably more than one. But it's also fun to let it open to perception. 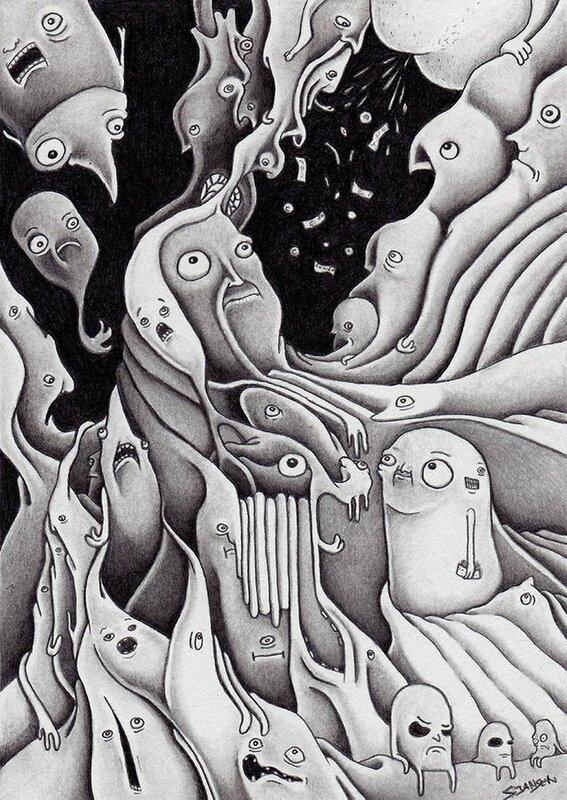 Your artworks are so trippy and detailed, is like a sea of sureal images! Love your creativeness and your art style @sanderjansenart Very unique ! Thank you very much @livvu!